Plaid wants to give your home a makeover! This prize package includes everything you need to add a dash of elegance to your surroundings. Collage Clay comes in a plastic bag much like a pastry chef would use. Attach one of three tips (round, wavy, or star) to the bag and make embellishments for boxes, picture frames, and cell phone cases. Mod Molds come in many different themes and feature designs such as owls, airplanes, butterflies, and floral motifs. Mod Melts, which are ideal for mixed media projects and jewelry, require no mixing, which means you can whip up a creation in less than ten minutes. This prize pack also includes paint, matte, and gloss that will give your projects a freshly-made look. 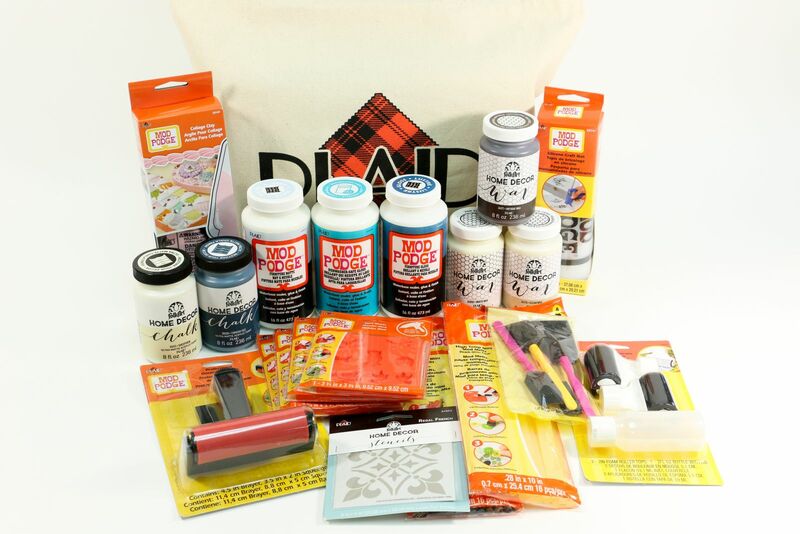 Do-it-yourself home décor can be fun when you have the right supplies, and this Plaid Prize Pack has you covered.